Here's some good news for your Friday that’ if you reside in the US: Honda is bringing back some classic bikes from its past. The Monkey and the Super Cub C125 will be available for U.S. customers from the 2019 model year on. Make no mistake; these are new bikes with modern touches like LED lights and digital displays, but Honda has kept their design and functionality very close to the mid-century originals. Both were first unveiled at the Tokyo Motor Show last fall, in concept form, but Honda was eager to bring them quickly into production. Both have a remarkably large 125cc engine, as 50cc units were common in the originals. The Monkey originally started as an amusement park ride bike some 60 years ago, but it was quickly seen as viable for large-scale production. They've always been cheap, fun and robust, and celebrities like John Lennon have bought them just to get around on a farm. 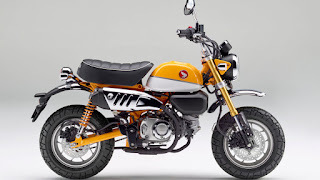 The 2019 model year Monkey will be available in two colors, and if it's a Banana Yellow, you know it doesn't have ABS brakes, as the ABS version only comes in Pearl Nebula Red. The non-ABS one is just under $4,000, while the ABS one costs $200 more. 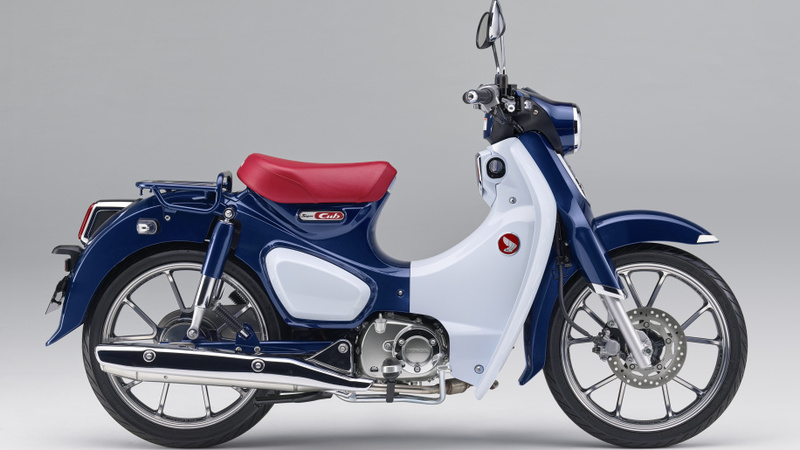 The Super Cub C125 has ABS brakes as standard, and it costs $3,599. The original, American Honda Super Cub was available in the U.S. from 1958 to 1974, and it's been manufactured continuously for other markets. It's the highest-selling motor vehicle in the world, as over 100 million Super Cubs have been made! The new bike is fuel injected and only comes in pearl blue. It will be available from January 2019.